Miranda was an interesting character, but at the same time, she's a bit flavourless, for the lack of a better term. The devastating event of her divorce was trying, and while it gave her character dimension, she lacks that special edge that allowed me to connect with her. Robert was the same for me. I definitely empathized with what was going on in their lives, but I had just as much attachment to them as I would a stranger with whom I had a pleasant conversation on the bus. I do have to say though, that her characters are all very realistic, save for a few secondary characters that were very obviously only there to stir up drama. Bennett makes up for this with her writing though, which is both thoughtful and funny. Her talent lies particularly in her diverse writing styles which we see in the main story, the thoughts of the characters, as well as the novel Miranda is writing. It's very obvious to pick out the differences between Bennett's work and Robert's thoughts, or even Miranda's work and her own thoughts, yet the author is able to blend these together nicely, and make a story around it. The story itself was decent. I enjoyed following the two main characters on their road to re-discovery, but like my issue with the characters, I wasn't able to make a special connection with the plot or relate to what was going on. However, there were some steamy bits that I enjoyed, and the chemistry between Miranda and Robert is great. 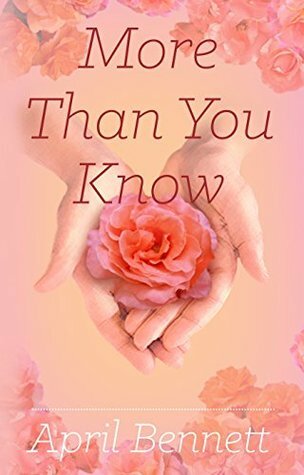 Overall I rate this book a 3.5/5 stars for a nice romance novel that I'd recommend to anybody looking for a sweet love story without much depth.